This is going to be a spicy post, my friend! Personally, I don't like things REALLY spicy. I like a little bit of heat, but nothing that sends me looking for a tall glass of milk. My husband, on the other hand, LOVES spicy! If he doesn't start sweating, it isn't spicy enough. In an effort to get my family eating more fermented foods, I decided to ferment some jalapeños to have on hand in the fridge! 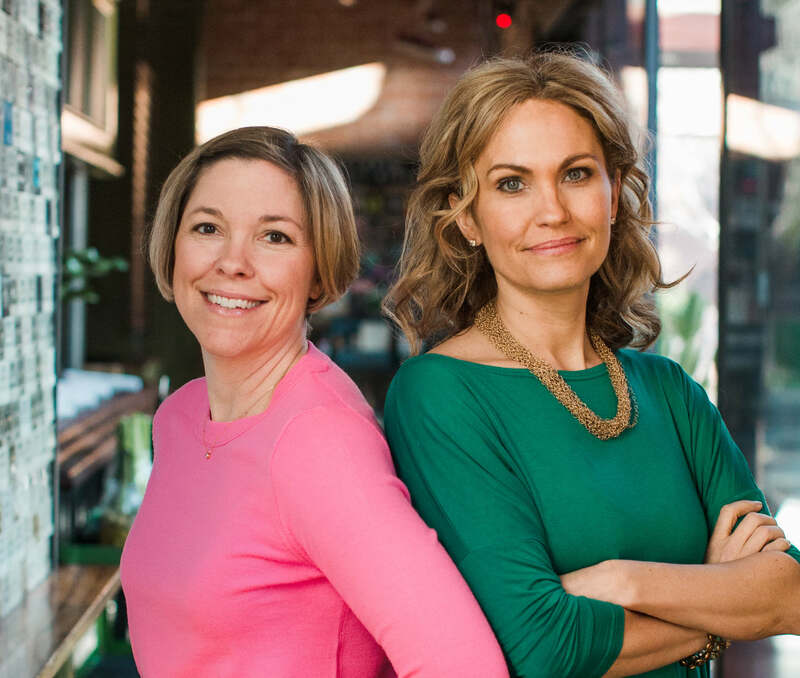 They would be ready for an impromptu salsa, guacamole, and of course, nachos! Or quesadillas. Or on a fork. Just for him. I started with a bunch of jalapeños from the Farmer's Market. I wanted enough to fill a quart sized jar. I ended up slicing twenty jalapeños, but it all depends on size of course. I placed all of my jalapeño rings in the jar along with a teaspoon of salt and a quarter cup of whey. I added the lid and set out to forget about them for a week. My husband, though, kept asking me when they would be ready. Over the course of a week, they dulled in color, became cloudy and, upon opening, they fizzed up like a soda can! They were ready! I sampled one and couldn't get through it. HOT!! My husband said they were good, but could be saltier. I will do more salt next time. That way they will be more “pickled” and that is what I am going for. Slice your jalapeños into rings and pack into your quart sized jar. Add the salt and whey. Cover with filtered water, leaving an inch of headroom at the top. Put the lid on and set aside. Let your peppers ferment for a week and then sample. Place in the fridge for cold storage. Have you fermented jalapeños before? What is your favorite recipe? 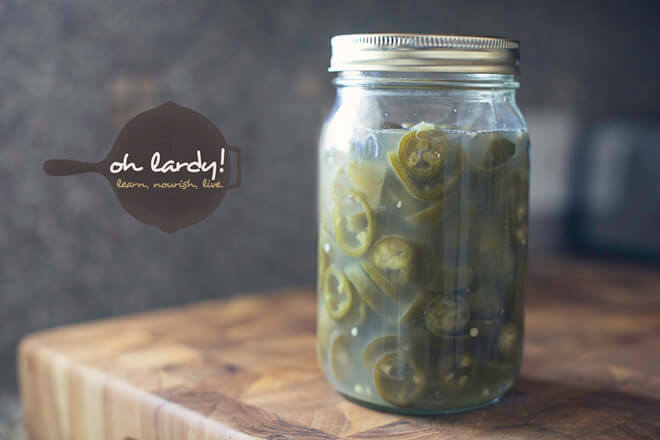 Have you tried fermenting Jalapeños without the whey? The salt and water should be enough along with those fresh farmer’s market peppers. Then they wouldn’t have that whey aftertaste. Or do you prefer whey fermented vegetables? I haven’t tried a wild ferment on the Jalapeños yet. I don’t mind the whey fermented veggies, honestly, I can’t even tell the difference. 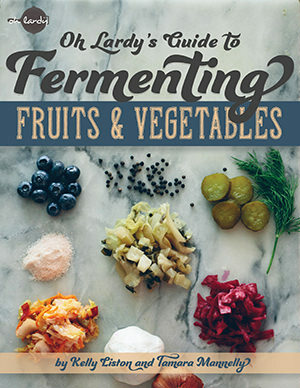 I have had fine success with wild ferments, so I will give it a try next time just to see. 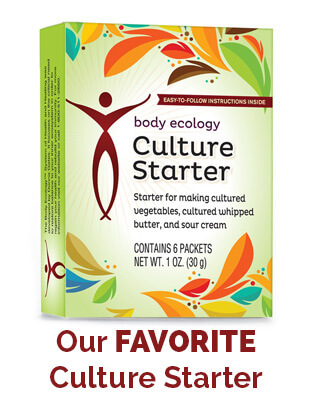 I also have starter packets from Body Ecology. I haven’t used them before, until today. I made a fresh salsa and used the packets instead of whey. I can’t wait to try it! If you haven’t tried it, another good starter for salsa is fresh sauerkraut juice. I haven’t tried a packaged vegetable starter yet. I’m sure it will work great, but I wonder if it makes much of a difference. Have you noticed your salsa ferment starting up faster with it? 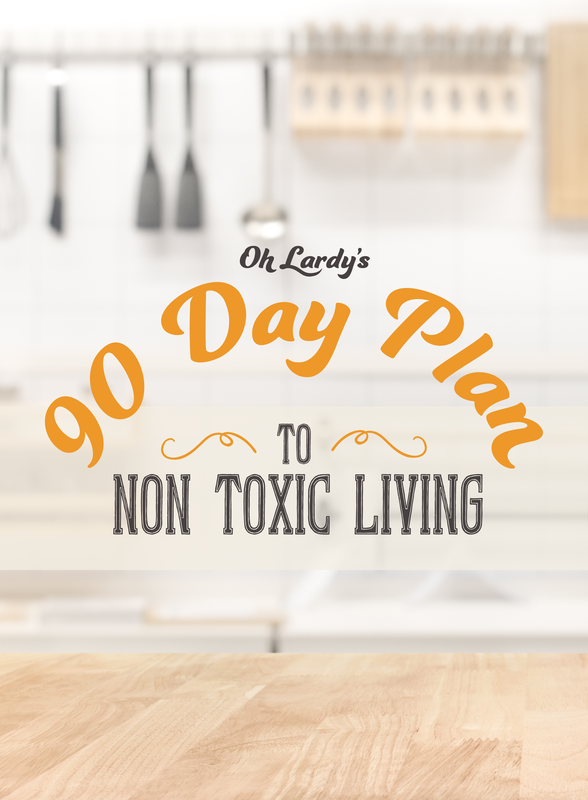 I just started fermenting veggies this past year and have done all my ferments “au natural” with no issues. Multiple batches of sauerkraut, kimchi, and jalepenos with onion and carrot. All have fermented quite well. Sauerkraut and kimchi have included store-bought cabbage as well as ones from our farmers’ market – no difference that I could tell in fermentation time or taste. 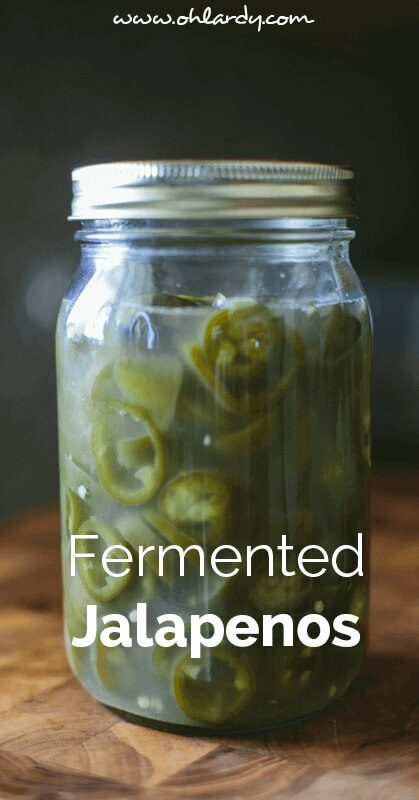 I bet if you used sauerkraut juice from wild fermented sauerkraut (just salt, cabbage, water, other veggies) you could get a ferment going with the jalapenos. Not sure if there is a vegan friendly starter culture out there. That would be interesting to know! If you find one let us know! If you click on ‘whey’ in the recipe, we link you to a tutorial on how to get whey by straining yogurt. You could try a wild ferment with just salt, but I have never done that with jalapeños! 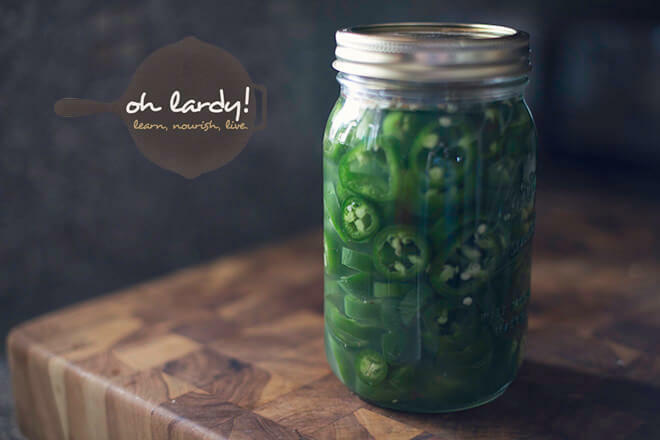 Yes, I’ve fermented jalapenos without whey and I will add that there were scrumptious! In my fermented jalapenos, I added whole peeled garlic. 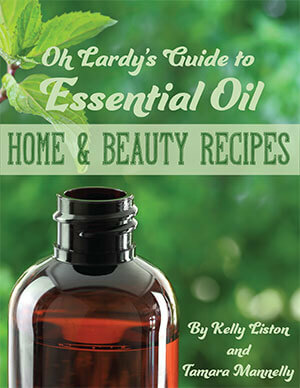 You can add any other herbs, onions, etc to the mix. If you want to use whey, my understanding is that you can just strain some plain yogurt; the liquid that drains is whey. 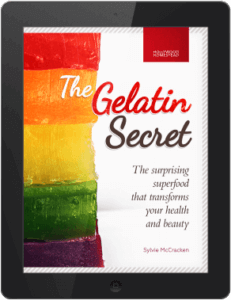 Yes, if you click on ‘whey’ in the recipe, we link you to a tutorial on how to get whey from straining yogurt! 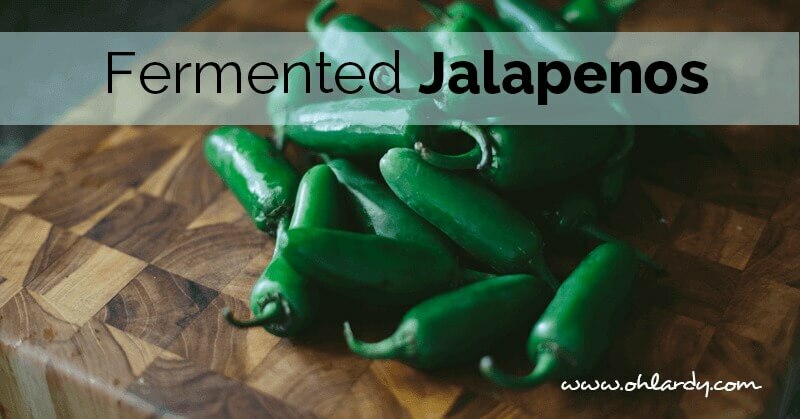 Do you need to weigh down the Jalapenos while it ferments to keep them submerged? If so what do you suggest using if doing this in a Ball Mason Jar? I have done it both ways. I don’t have a good weight, so I just used a smaller lid from another mason jar to keep them under the brine. Why not give that a shot? 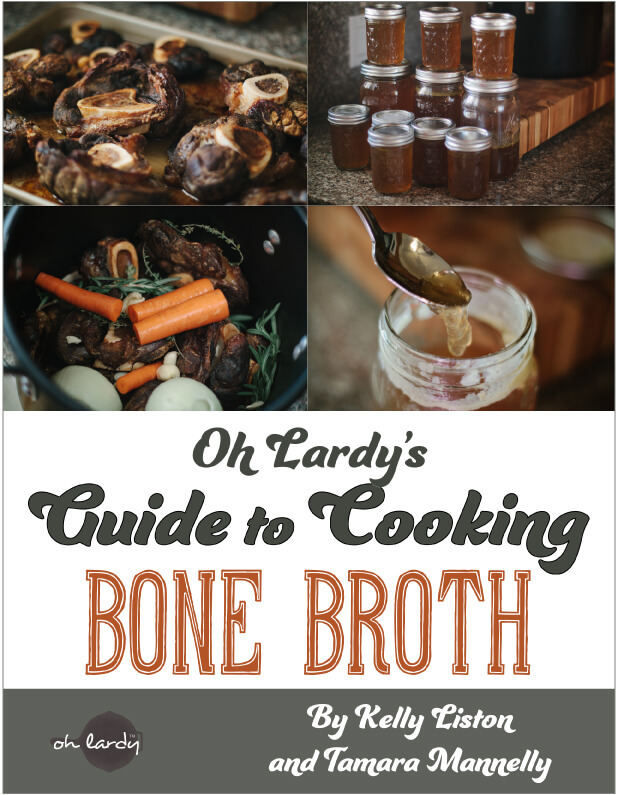 Kelly Liston recently posted…Everything You Need to Know About the Benefits of Bone Broth! Thanks for this! 🙂 I’m planning to try the non-whey version. Was wondering if you know how long they keep after fermented if left unopened and refrigerated? These will keep for months in the refrigerator, as long as your refrigerator is 38 degrees or colder. I have had jalapeno rings in my refrigerator for over 6 months and they were still fine! Good luck! I tried this and a few of the peppers floated up above the water and ended up with some white, gunk growing on them. Does that mean the whole jar is bad? Or can I just pull the one pepper out and still use the rest of the jar. Also, there is some white film floating on the top of the water in some of the jars, is that ok? Do the peppers need to stay submerged, even when they are moved to the fridge? Do I have to leave an inch of headroom, even after I move them to the fridge? Peppers should stay submerged. 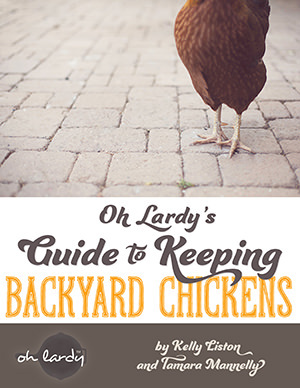 A white film can be scraped off and the rest of the batch should be fine! You can use a weight of some kind to keep the peppers under the brine if you need to! 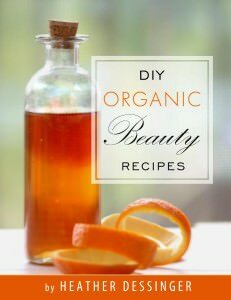 May I use anything else to ferment besides whey? I have a food sensitvity to dairy. Is there another way to get whey? 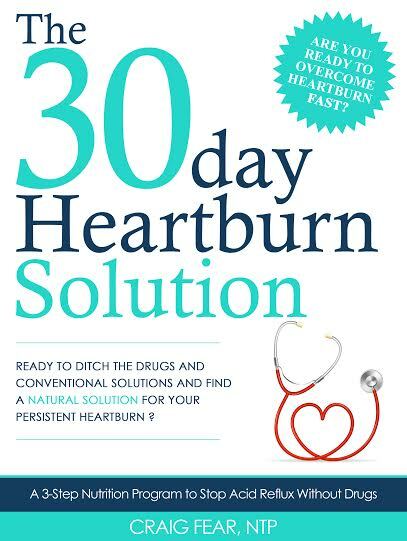 I’ve also used non-dairy probiotic capsules that I opened and dumped in along with the salt. 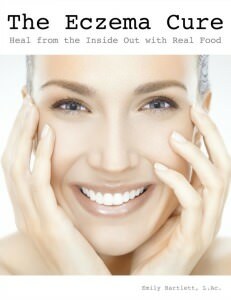 Very effective if you have a good probiotic! This is just a nit, but the final product doesn’t look appetizing in a cloudy liquid. I wouldn’t show the jar to guests who might be curious. I think using a previous vegetable ferment with water would look much better. I’m going to try a variety of hot peppers since I have too many in the garden right now – sweet banana peppers and chimayo along with the jalapenos. In the past I did onions, peppers and garlic and had a ready made salsa (just add fresh tomatoes! ).